It looks like Girls Frontline is the new project for the South Korean cosplay team in the long run. After two initial productions featuring Doremi as M1 Garand and Tasha as Five-SeveN, now it's time for a more dressed Doremi as G36. 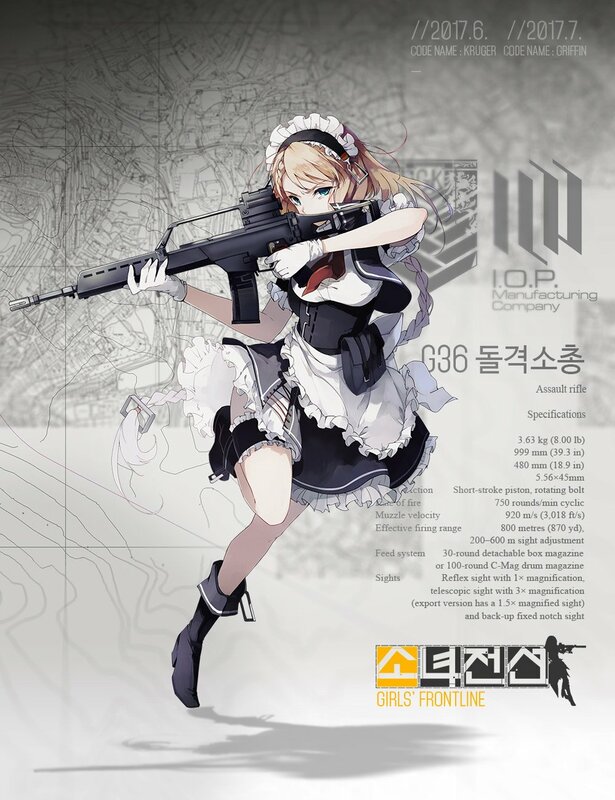 This Heckler & Koch G36 assault rifle is portrayed in-game by a Tactical Doll wearing a maid or waitress costume. As far as this kind of costumes go, we still prefer this maid costume from Soulworker Online, and you can easily see why. No matter what, this is another excellent production from the Spiral Cats and Doremi shines as always. If we could request a game, we would pick Peria Chronicles (the girl with the blue dress), Hyper Universe (you know why), or maybe MU Legend, as this one is about to enter global open beta in September.